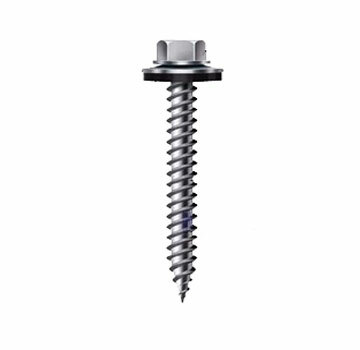 PRODUCT: #9 X 1 INCH STAINLESS STEEL EVERGRIP HWH SHARP-POINT SCREW WITH BOND SEAL WASHER. 250/BAG. PRICE/BAG. (SFS #E4160-CUEG). • Designed specifically for corrosion resistance in new wood treatments (ACQ/CA) and harsh environments. and taps into wood substrate. should be no less than 1"